A legacy gift is a lasting statement of your generosity and care for people in your community and their future. 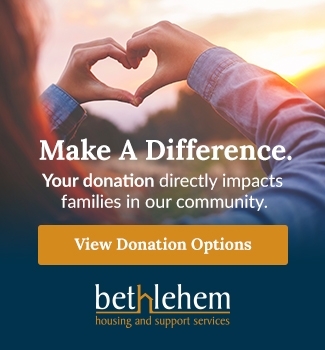 It is one of the most valuable ways you can help Bethlehem Housing and Support Services. Why consider a Legacy Gift? Legacy funds provide us with financial resources required to operate the various in-house and community support services and programs that are so vital in helping the many men, women and families we serve to get back on their feet and lead more fulfilling lives. When planning your financial future, consider making a legacy gift of which you and your family will be proud. 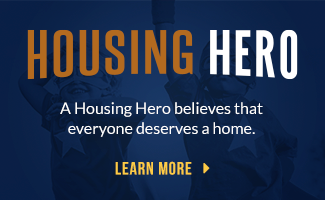 Leaving a legacy gift with Bethlehem Housing and Support Services can be easily achieved with a gift by will or funded with appreciated securities or life insurance. Giving in this way can also reduce your personal taxes and increase benefits to your estate and its beneficiaries. Securities – With the elimination of capital gains taxes on donations of publicly traded securities, these gifts are now the most tax efficient way to make a charitable donation and a great way for donors to make a greater impact with their gift. Endowments – A gift of capital, funded with any of the assets listed above, can be used to establish an endowed fund which is held and invested to generate interest and dividend earnings for the benefit of a charitable organization. Complete the form below to contact our Philanthropy Manager, Jennifer Sinclair. Deciding what legacy gift is right for you is just as important as your decision to leave a legacy. If this is something you are considering and would like additional information on planned giving options, please contact our Philanthropy Manager, Jennifer Sinclair through the form on this page or call 905-684-1660 ext 2 . On Sunday, May 5th, 2019 from 12pm – 5pm the Canadian Federation of University Women (CFUW) will be hosting their 45th Annual House Tour in the Niagara Region.